I wanted to share my 5 hero products of the month with you all, these are all products I've never used before that were either sent to me this month or I bought myself. Be sure to let me know your top 5 products for August. 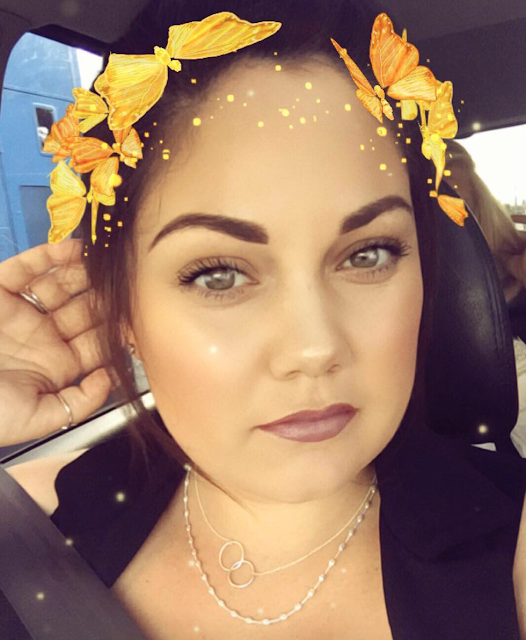 So many of you have been asking me over the past few weeks what foundation I've been wearing, I didn't want to tell you all until I tested it out properly but I can finally share it. I've been wearing it most days and I love it so much. I wear shade Rose Beige, its lightweight but very build-able and lasts all day on my skin. I'm in love with the packaging and it has a dropper so you don't waste any product. It's been forever since I found a drugstore foundation that I really loved. 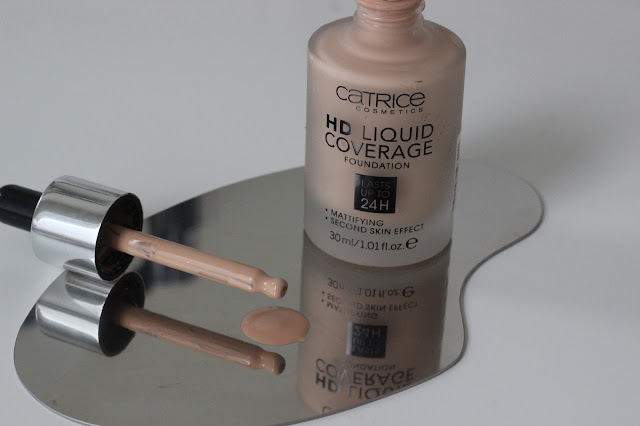 This one ticks all the boxes for me, It's available in 4 shades and is only €7.90! You cant really go wrong. Available in Penny's & Pharmacies. I started using this mascara about a week and a half ago, I know thats not long but when I find a good mascara I know instantly if I'll love it or hate it. This one is a game changer. It's so build-able but it doesn't make my lashes look clumpy or like spiders legs. 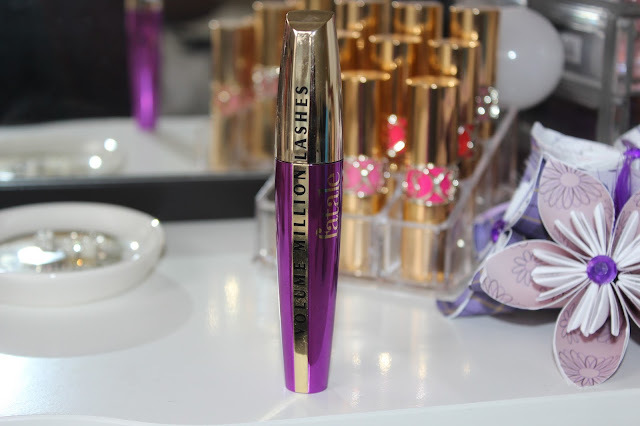 It lifts and holds my lashes and makes my eyes look so awake. I love the wand of this mascara too. Although I'm a makeup artist I still, without fail, get mascara under my lower lashes. With this mascara I have noticed a dramatic change haha. I barely get it all over my eye balls. It doesn't smudge on me or leave any unnecessary panda eyes if I wear it for hours. It gets a 9/10 from me. The only down side is it's not super easy to remove with miscellar water. I need to use an oil based cleanser to get every inch of it off. It's only €13.99 & available in Boots. 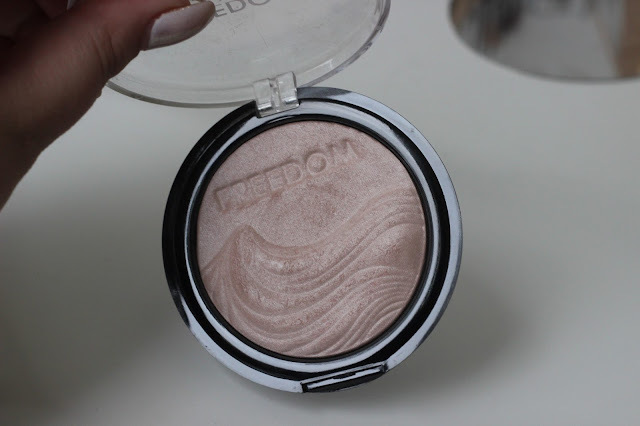 Freedom Makeup Pro Highlight in "Ambient"
I've two highlighters that equally deserve a mention, one is very affordable and the other is quiet expensive. I'll start with the Pro Highlight in "Ambient" from Freedom. First of all the product itself looks divine, It's so soft and blend-able. 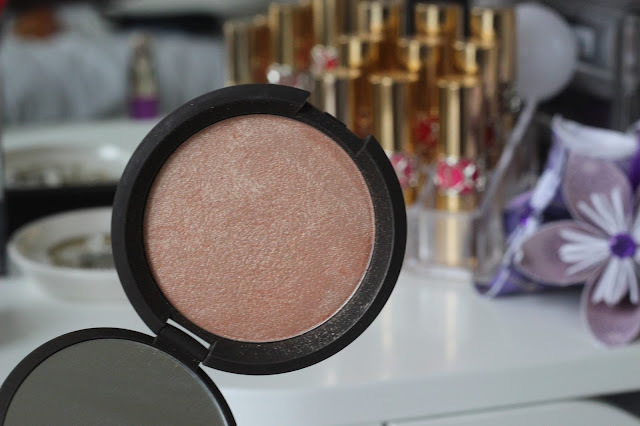 Its quiet subtle on the cheeks but gives a gorgeous glow and the best part.... It's only €4.20 Click the link below to check it out. Becca x Jaclyn Hill Shimmering Skin Perfector Pressed "Champagne Pop"
The second highlighter is from Becca. I've raved about it on my snapchat and I'm just so in love with it. Jaclyn Hill is my Fave YouTuber so when I found her highlighter "Champagne Pop" in Space NK on Grafton Street I had to have it. This one is a little bit pricer but It's so worth it. 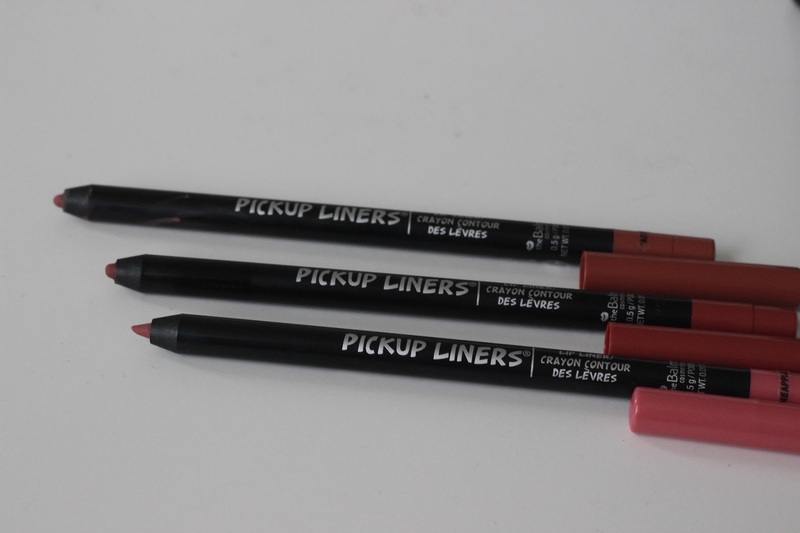 It's so highly pigmented, so creamy and gives the most amazing glow to the skin. If you're in town soon pop into Space NK and swatch it, it will blow your mind, you can trust me on that one. Last but by no means least are the Pickup Liners from The Balm. I'm a massive fan of The Balm and love everything they bring out. These babies didn't disappoint. They're so soft and extremely pigmented and have such a wide variety of shades. There is literally a shade to match every lipstick I own! And that's a lot!!! The three shades I've tried and loved, from top to bottom are "Acute One", "Chemistry" & "Pineapple"